Complaining on the Internet about Marvel’s “big events” has almost become as clichéd as the big events themselves. In fact, since joining the blogosphere in 2011, I’m yet to experience a crossover event that was viewed in a positive light from the majority of the comic book fans I interact with. To be totally candid, I really didn’t read Fear Itself and AvX was bloated and dull, but it certainly wasn’t a series that inspired a major emotional response from me. But after reading Age of Ultron #10, the last installment of Marvel’s first big event of 2013 (with Infinity to launch next month), I found myself overcome with anger at the comic book and the series I had just spent my hard-earned money on ($40 to be exact). It wasn’t just that the series had a terrible ending, but it was the way it went about being terrible that made my rage more visceral. As many of you may know, I write the “Gimmick or Good” column at Comic Book Resource’s Comics Should Be Good blog. In this column, I look at the gimmick cover comics of the 1990s (chromium, foil, glow-in-the-dark, polybags, etc.) and determine if the comic had any artistic/literary merit or if it was just a blatant cash grab by the publisher. When reading these 20-year-old comics for my reviews, I either legitimately enjoy the story or I find it so comically bad that I shake my head and chuckle – despite the fact that the diminishing quality of these comics led to the comic book speculator bubble bursting in the mid-90s, landing a severely damaging blow to the industry that it’s still trying to recover from. The reason why I pitched this column to CSBG is because I feel that the comic book industry has returned to its roots in recent years, often releasing comics with multiple variant covers and other gimmicky enhancements. In conversations with retailers and other industry folks, they often tell me I’m being too hard on the industry, because at least now, the publishers are paying more attention to the quality of the books they’re pumping out when compared to the all-you-can-eat crap-feast in the 1990s. 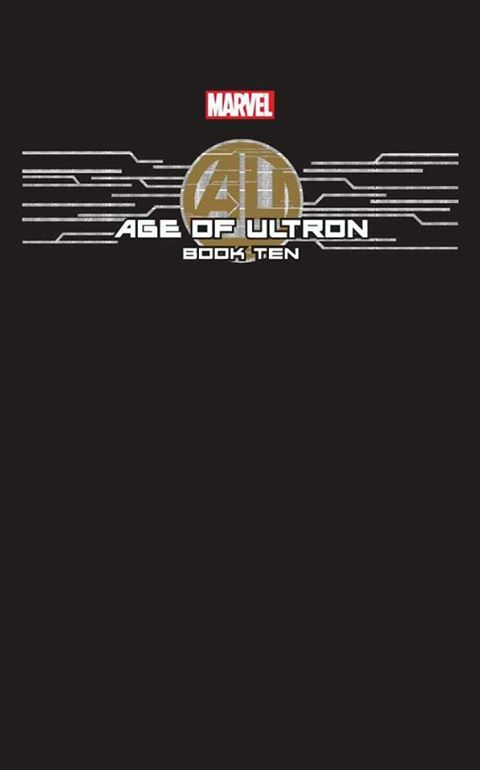 And that’s why Age of Ultron #10 has me so riled up. The comic is a callback to the 1990s for all the wrong reasons and a reminder that the industry is still capable of making mistakes it claims it has learned from. Marvel packaged this comic in a black polybag – not as some sort of collectible a la Superman #75 – but to hide the “big surprise” ending that only “five people knew about” per the gospel of Brian Michael Bendis. With hype like that, this ending had to be something special, right? What we ended up getting was essentially three commercials for three new comics coming out over the next few weeks from Marvel. The actual conflict with Ultron taking over the world was resolved rather swiftly and with minimal drama. Then we learn that Wolverine’s abuse of time traveling is causing a rift in the multiverse (and leading to the Ultimate, 2099, and other timelines colliding with each other). 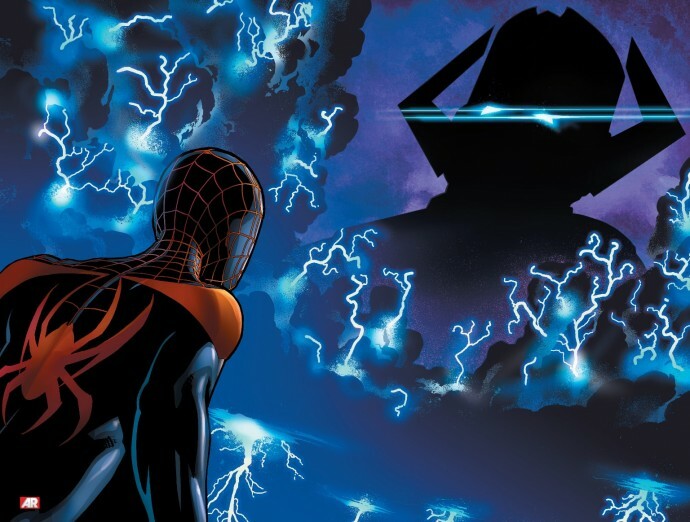 Putting aside the fact that it’s another played out “butterfly effect” storyline about time travel, I was still mildly intrigued by what we being implied in this comic and Spider-Man fans will certain feel the repercussions when Spider-Man 2099 joins the fray in September. Then we have Hank Pym talking about how things can be different with Ultron, and then ANOTHER full page ad for Avengers A.I. #1 – a brand new series!!!! 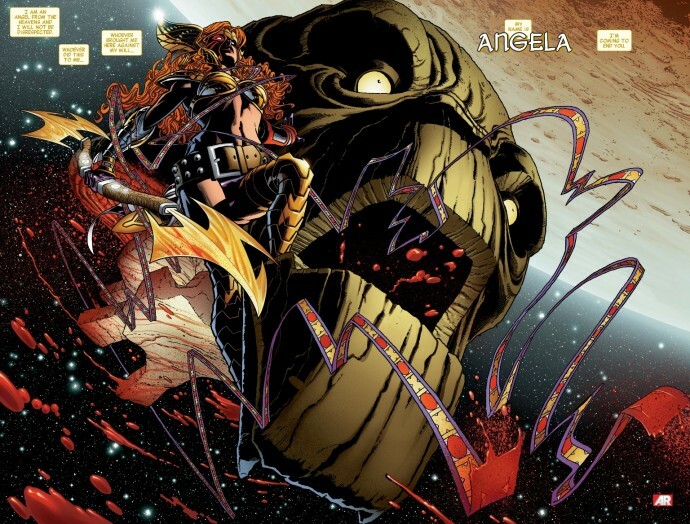 For icing on the cake, we have a splash page of Angela – a character Neil Gaiman and Todd McFarlane fought over at Image that Marvel fans are supposed to be excited about because she’s going to be in Guardians of the Galaxy now (and here’s the full page ad telling me when to expect that). I understand that one of the major goals of comic book publishers is to get people to buy and read more comic books. But Bendis and Marvel just used 10 issues to build to the “surprise” revelation that three more special events/series are taking place over the next month. And one of those events is focused on a character that (no offense Image/Gaiman fans) I could give two you-know-whats about. Sure, promote your comics and new titles, and get fans excited any way you can, but it’s outright insulting to do so at the expense of a satisfying conclusion to the comic book series I’ve already purchased. And given the build, the super-secret-double-probation nonsense Bendis was spouting to the industry press, he and everyone else at Marvel who contributed to this disaster should be ashamed. I had my concerns with AoU from the get-go. Given the delays in getting the thing rolling, and then the first few issues when Marvel’s executives and Bendis himself couldn’t come to an agreement about whether or not Peter Parker (not Doc Ock) was Spider-Man, was undoubtedly a red flag. The series had the Bendis-ian trademark of an interesting hook, but poor execution once the storyline got bigger and more characters were roped in. Wasn’t there a squad of heroes who went off into the future to fight Ultron while Wolverine and Invisible Girl went to the past? What happened to those guys? And not for nothing, where did Spider-Man go? What about the Vision since his fate has always been tied to Ultron’s? Just too many loose ends left unresolved to count. And the reason why this story has worked me into such a lather is because these are the kinds of disasters that help fracture a fan’s trust and passion with the medium. I’ve been reading comic books since I was 7-year-old, but I’ve had periods where I just couldn’t deal with the ineptitude and lack of quality and I gave up. And one of those times was in the mid-90s when Marvel was pumping out a gimmick-enhanced cover every other week, while producing terrible Spider-Man stories about clones (and terrible stories involving every other major character). At this rate, Infinity is Marvel’s last chance for me in terms of non-Spidey books. I’m a huge fan of Thanos, and thanks to the glory that is the Marvel Unlimited app, I’ve become well-versed in the cosmic universe and hope Infinity can be more Infinity Gauntlet than Infinity War/Crusade. 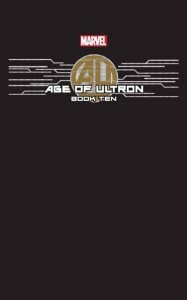 Even if it’s not, as long as Jonathan Hickman creates a coherent story that has a definitive beginning, middle and end, I’ll just chalk up AoU’s awfulness to Bendis doing Bendis things, and Marvel being caught up in its own promotional hype machine. But if it’s another money-grabbing commercial geared solely towards having me buy more and more comic books, then Marvel can kiss my money good-bye for any future events. I’m not going to sit here and be used and insulted, and between my wife and child, I can come up with countless other ways to spend $4 10 times over the span of a few months. 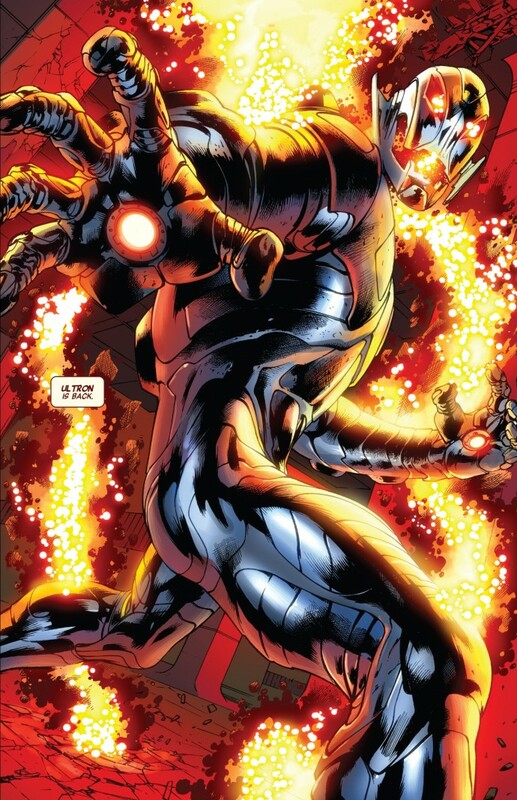 Ignoring all of the plot holes and how there are dozens of times where Ultron’s decapitated head just could’ve been picked up instead of just leaving it around after a fight to later be revived, the biggest problem is that the continuity change they tried to implement had no relation to the story at all. AvX was definitely bloated and had everyone acting out of character, but the result made sense. Mutants are on the verge of extinction, they’d been hinting for years that Hope and the Phoenix would bring them back, it ends with mutants existing again. The execution was mediocre at best but I don’t think anyone would look at the change in continuity and say that it felt like a way to sell more books. They wanted mutants back. This was just such nonsense and the execution was so terrible. The first few books feel like a Roland Emmerich film where they just keep smacking you over the head with all the destruction and death. All the early tie ins were so morbid, especially the Fantastic Four one where you saw everyone but Sue die and watched the kids see their video goodbye. Then it just jumps to this House of M style alternate universe that is never fleshed out. As far as I know there was only one tie-in that actually covered the alternate reality and that was Fearless Defenders. There’s nothing to show us why this different world is so much worse than the Ultron version. And even if they had demonstrated that the end would still be a complete non sequitur. This is everything that was wrong with Flashpoint. It’s an event idea they had that didn’t amount to anything but that had these random changes tacked onto it. Except Flashpoint at least added a part where Flash had to weigh the consequences of his actions against the dystopian reality he just left. This goes out of it’s way to not do that. It’s so bad. Great article! It’s a sad day when a vanilla finale and 3 crappy ads constitute an ‘unguessable ending’. I decided to protest by adding Spawn to my pull list & dropping Avengers A.I. Good luck with Infinity, I’ll trust your judgement on whether to buy it in TPB form after it’s over. Thank you. I think the biggest thing that’s keeping me motivated for Infinity is I tend to enjoy Hickman’s cosmic work on Avengers and his stuff for Image is just fantastic. If this was another event where Bendis was taking the lead, I’d be out. Nor do I intend to read Hunger, A.I. or GoTG with Angela anytime soon. Best use of an A Christmas Story Clip in recorded history. I checked.